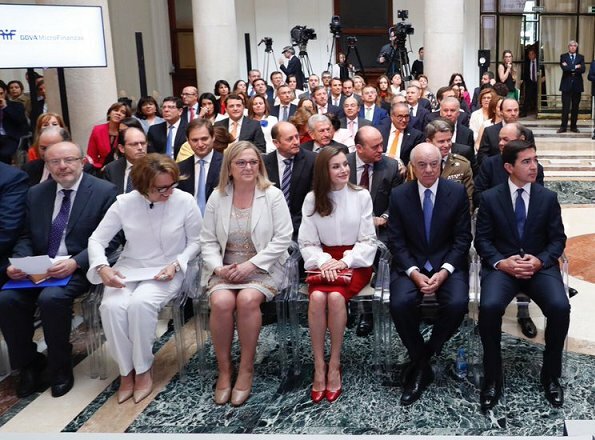 Queen Letizia of Spain attended events of 10th anniversary of the 'BBVA Microfinance' held at the headquarters of the BBVA Bank Foundation on May 29, 2017 in Madrid, Spain. 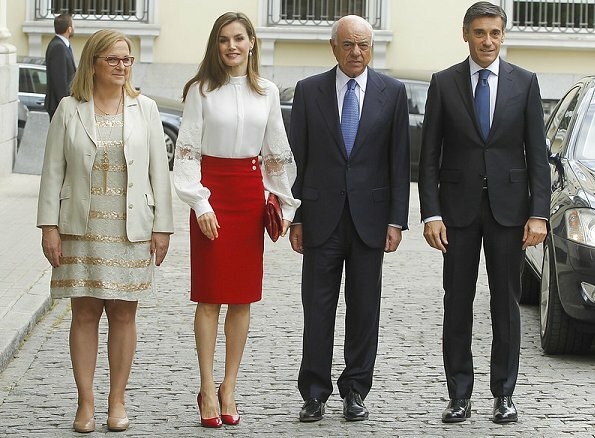 Queen Letizia wore Hugo Boss Vasela-Slim fit pencil skirt. I believe that a state visit to GB is scheduled.Perhaps she's letting her hair grow to have a mass enough for a big tiara updo. 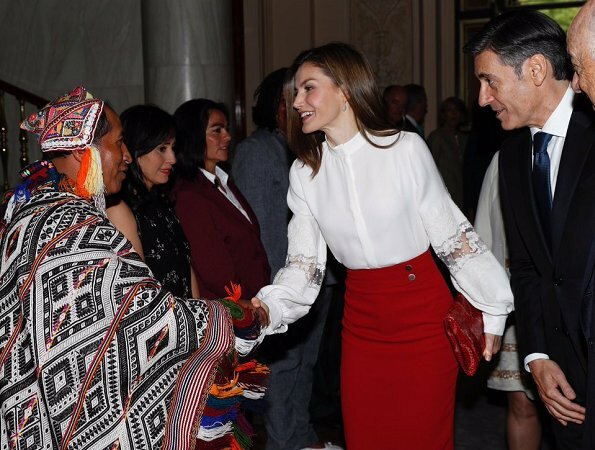 Letizia looks lovely here! I haven't been a huge fan of some of her recent outfits, but I absolutely love this one! The blouse is so gorgeous, I love the sleeves and the lace. Red is definitely her color, she always looks so lovely in it. Hermosa blusa, romántica y femenina, muy bien asociada con la falda y los complementos rojos. Very beautiful. Love her outfit. ... as she does on 99,9% of her public appearances! A real Queen!!! Love this! The style, fit and colours are wonderful. Agree, she nails it 99.9% of the time. Ooh I want that blouse, beautiful! Love that skirt and shoes. The Spanish Queen never really disappoints. From jumsuits to dresses, to matchy matchy color, she really pulls it off. She can give a free lesson to her fellow royals. She's indeed the royal of the century. A hardworking plus elegant Queen! Love the skirt and the shoes. The blouce looks two sizes too big for her. 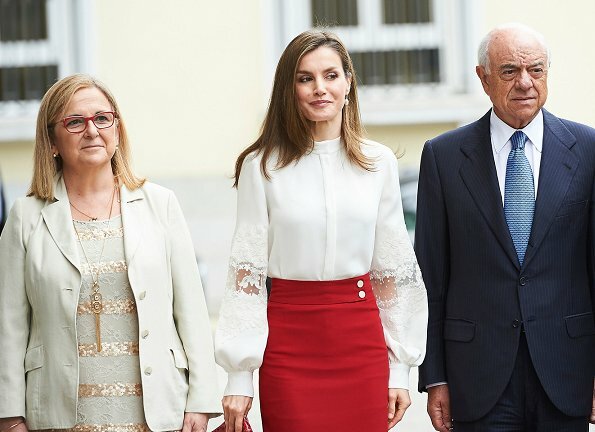 As much as I like Letizia with longer hair, she definitely needs to have a trim, the ends are taking away from the look.